Shop our selection of adorable polka dot dresses at Lily Boutique! Polka dot dresses are fun and flirty--and perfect for creating that retro 1950's look. They can also be bold and graphic as well. Black and white polka dot dresses are a great neutral classic that can be accessorized with a bright color for a fun look. Colorful polka dots are whimsical and fun for any party or event. Choose a polka dot party dress for your next event and you'll definitely stand out in the crowd of little black dresses. Polka dot dresses can have miniature repeating dots or a bold and oversized pattern. 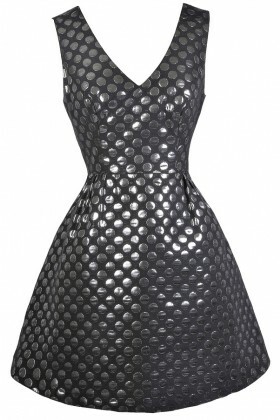 You'll notice that the size of the dots on the dress makes a big difference in the look and style of the garment! 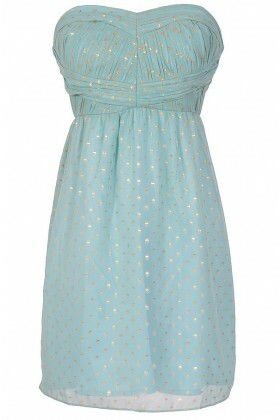 Check out our selection of polka dot dresses for the cutest looks at affordable prices. Free shipping on orders over $75 within the US.